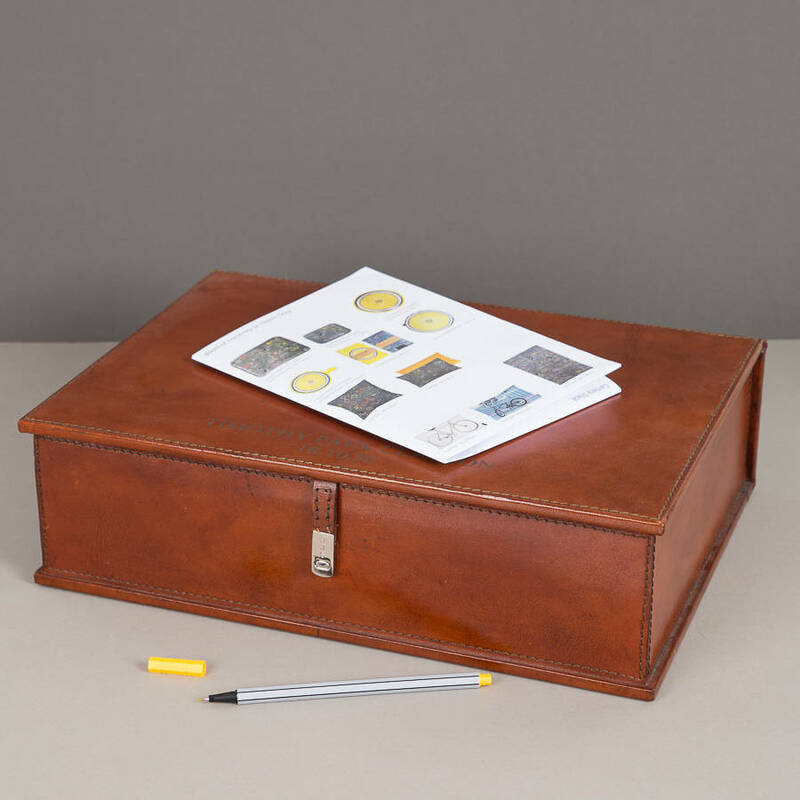 File important papers in this sturdy and smart handcrafted leather document box. 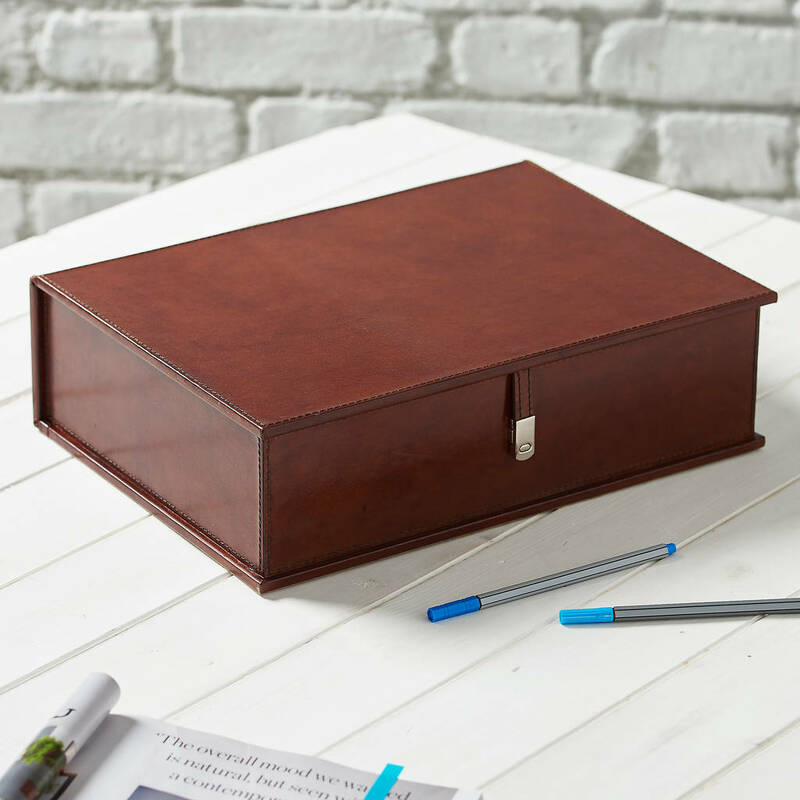 Keeping those necessary papers filed, important documents secured or accounts in one place just got a little smarter with this quality leather document box. The sturdy exterior has a flip top lid, closed with a neat chrome clasp and lined with a light coloured and soft interior. 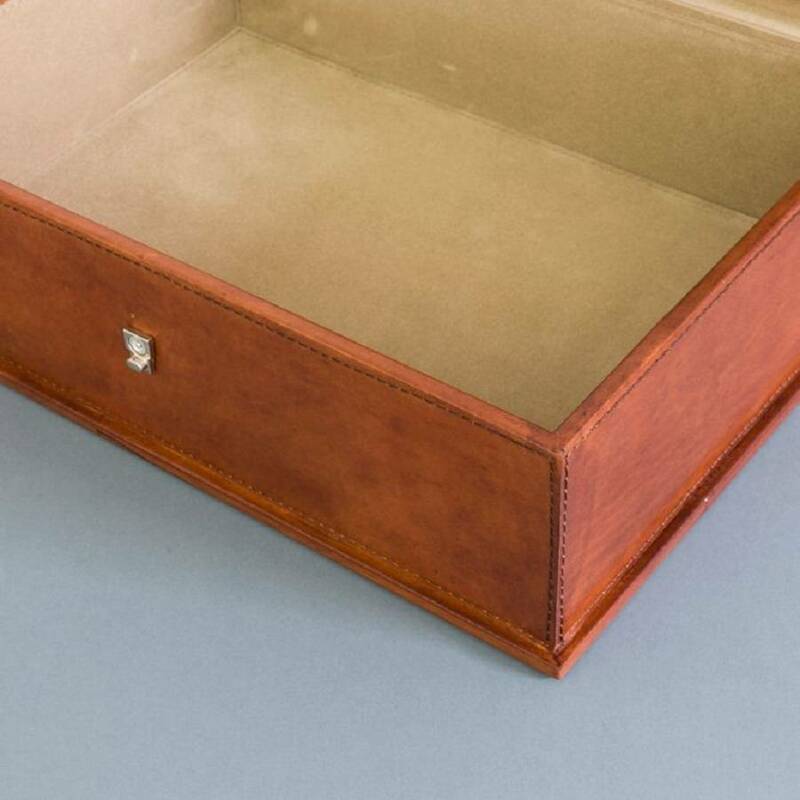 Each finish is unique with immaculate stitch detailing. 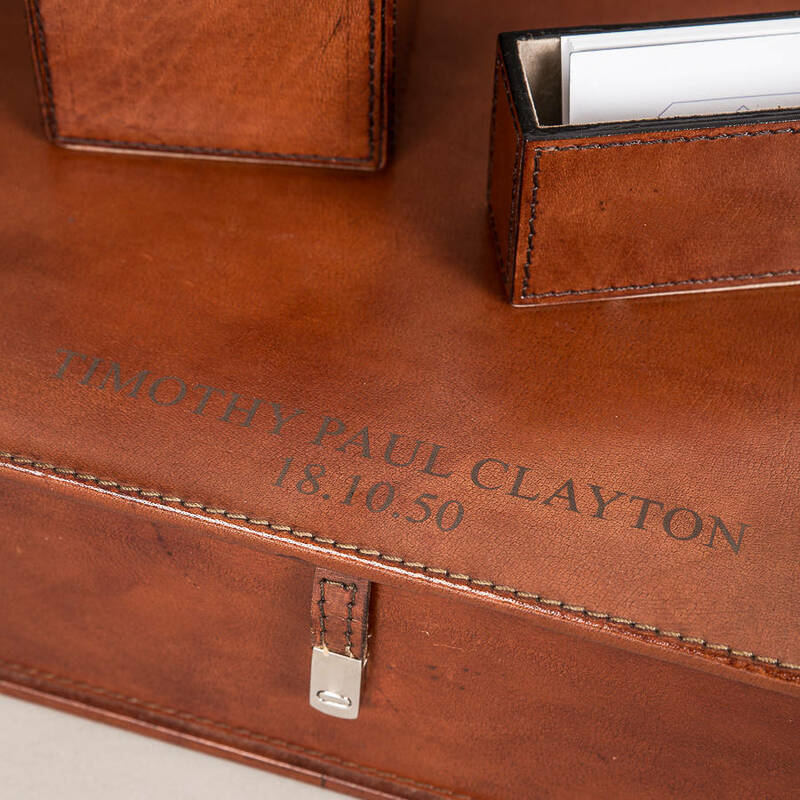 Works with suits, interiors aficionados to country countesses looking for solutions to their desk top dilemmas or gift buyers searching for the perfect stand out item for a 3rd wedding anniversary (leather) – that’s the marriage papers, guest book and photos taken care of then. 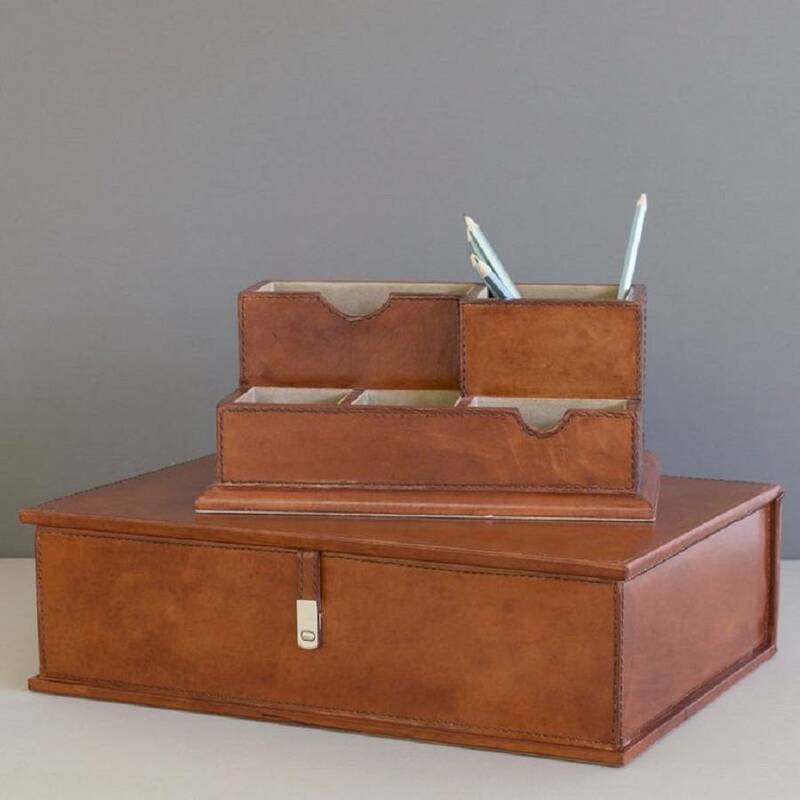 Available in Tan with buff coloured lining and comes as part of a leatherware designed for personal accessories to desk storage solutions. 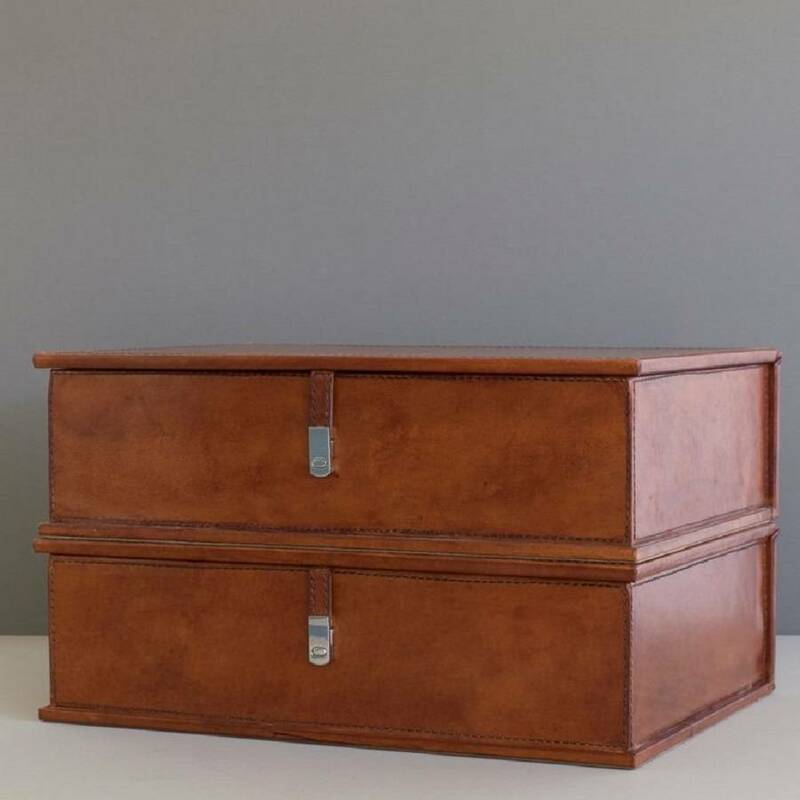 FREE next day delivery on plain boxes, order before midday. 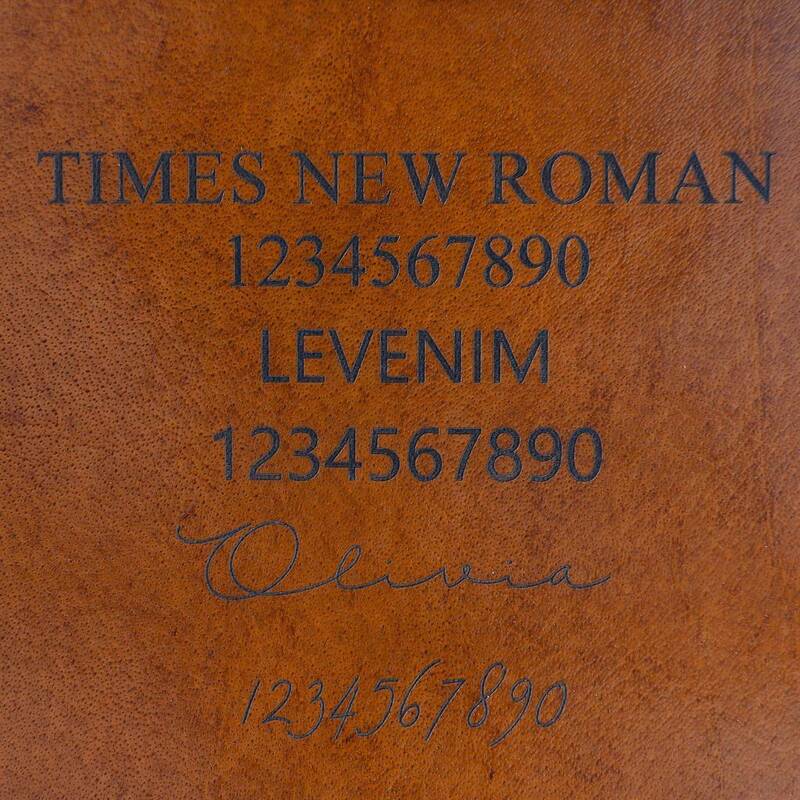 For our speedy personalised service allow 1-2 days. 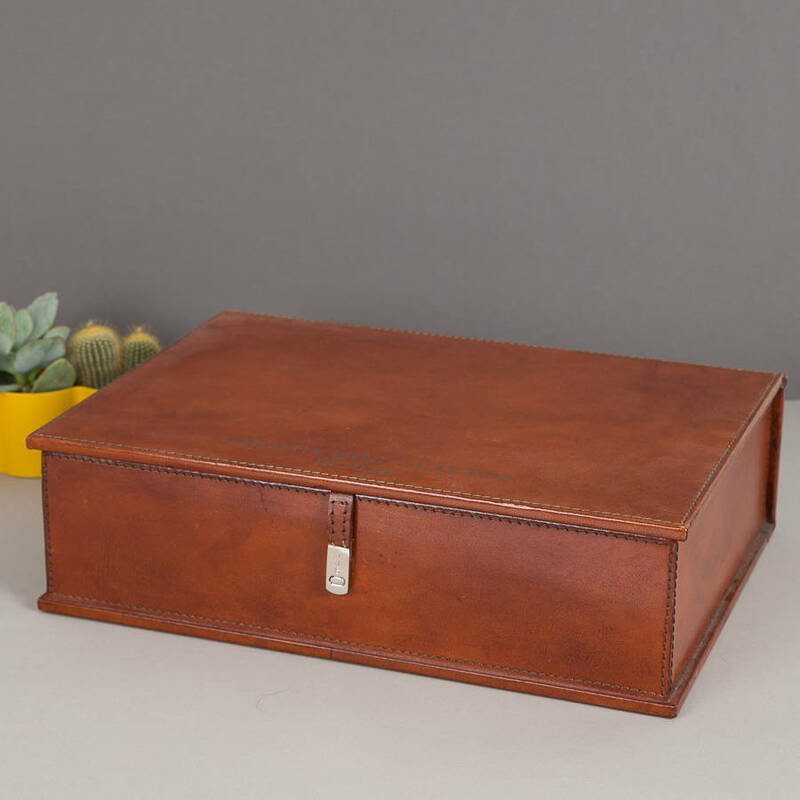 Handcrafted using natural materials such as leather and cotton stitch detail and lining means that some slight variations in colour, texture and marking might occur - we believe this makes each piece item even more individual and one of a kind.